We tend not to think of pollen, the plant powder that comes from male flowers and flower parts, as good for health. In fact, most of us probably associate pollen with much worse. Seasonal allergies, hay fever, sneezing, and oozing sinuses come to mind. But little do most of us know that some pollen is full of health secrets. In fact, this is why certain healthy superfoods— like royal jelly— and even some types of honey have certain healing properties: partially due to the pollen gathered inside of them from the work of bees. Traditional herbalists and healers of old noticed such benefits from pollen. The fertile plant powder appeared to have properties for fighting inflammation, infections, and was also full of minerals and antioxidants. What’s more, pollen from specific plants appeared to exert more potent effects than pollen from others, healers found. This is how practitioners of Traditional Chinese Medicine, or TCM, discovered the benefits of pollen from the pine tree. It seemed that this evergreen tree’s pollen had more remarkable properties than any other type of pollen they tried long ago. What’s more, it appeared to have effects on male hormones. Ever walk through an evergreen forest in the springtime? It’s not an unusual thing to do for people who live in the north woods, the western U.S., and especially the Rocky Mountains or Pacific Northwest. If so, take a close look at the branches of pine trees. They can be told apart from firs, spruces, and other evergreens by their very long needles and pyramidal needle shape when handled. On these branches, there grows small pine cone-like structures in clusters. These are in fact the male flowers of the pine tree. Give them a touch, or even bump or rustle them. There will be noticeable plumes of bright yellowish-green powder that come off these cone-like pine flowers in thick clouds. These plumes are even more visible at night with the help of a flashlight shone on the tree. This is the pollen of the male flowers of the pine tree, which travels to female flowers to produce pine cones. Some people are highly allergic to this thick pine pollen in spring. For those who aren’t, however, there is great potential for experiencing some very unique health benefits from this golden powder, as ancient health practitioners discovered long ago. Beyond just the pollen, the pine tree itself (any member of the genus Pinus) has had many medicinal purposes and callings throughout history. 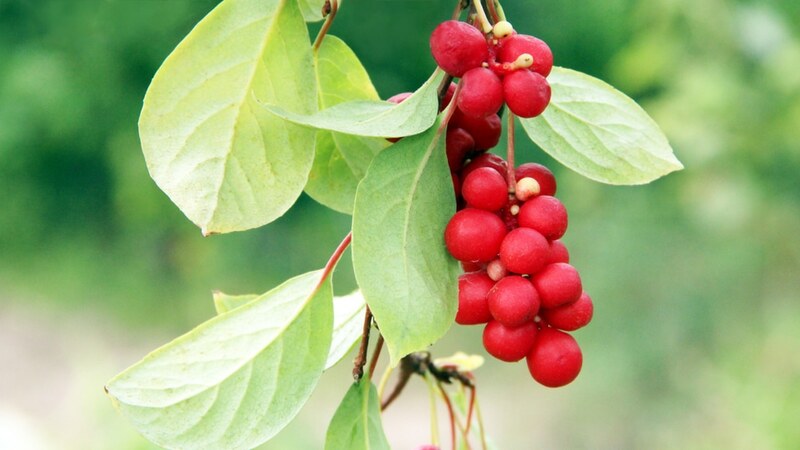 This extends to use of its needles, bark, and even its sap. For example, the needles of practically any pine tree may be harvested to brew a tangy juice, tea, or infusion that is widely known to be rich in vitamin C, not unlike oranges or rosehips. Pine bark, on the other hand, was used to alleviate inflammation and infection. Extracts of pine bark are still even used today for those purposes, in addition to improving memory, regulating blood sugars, and even boosting athletic performance. Pine sap, pitch, or resin was also popularly used as a highly antiseptic wound healer. With such history, it’s not hard to establish pine as a powerful healer. Yet today, what’s thrust pine into the limelight most is the health properties of its pollen. In fact, pine pollen is mentioned as a powerful medicine in many ancient Chinese doctoral texts. Its greatest powers were in restoring vigor, energy, and function, especially in males as they age. We know today that this was a sign of pine pollen’s hormone-balancing abilities. 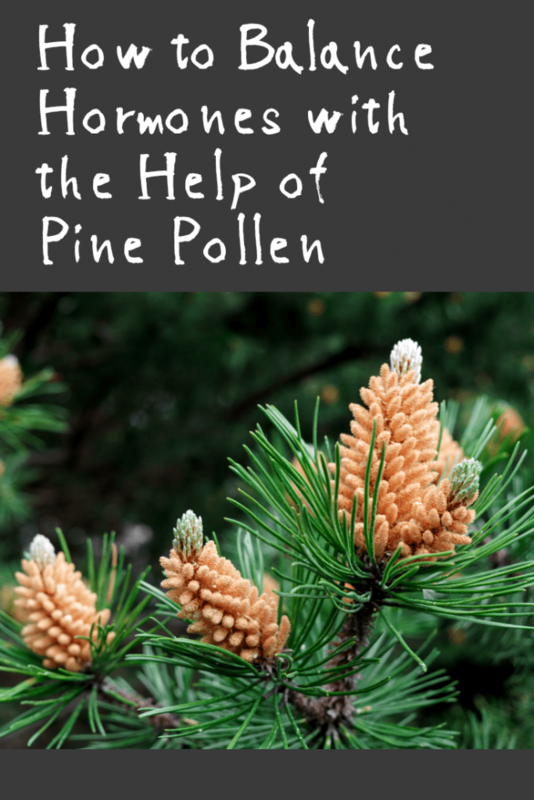 HOW CAN PINE POLLEN HELP TO BALANCE HORMONES? Ancient herbalists knew what pine pollen could do for hormones, energy, and reproduction; and so do some modern practitioners today, too. The more important question we might have: HOW does pine pollen work to balance hormones? “Phyto-” means plant, while androgens refer to masculinizing hormones. This includes testosterone, but a few others too: including androsterone, androstenedione, and DHEA. Basically, phyto-androgens—without ever TRULY being human androgens—can activate receptors in the human body that respond to them. What this means: even in cases where there is low testosterone present, taking phyto-androgens could naturally help raise testosterone levels in the body by fitting into testosterone receptors. This is not a whole lot different from phytoestrogens, which work similarly with human estrogen receptors. Herbs like black cohosh, and to some extent astragalus and licorice root, have this function. It’s established that phytoestrogens have lots of benefits for women and, sometimes, for men. And yet, phyto-androgens in pollen from certain species of pine trees could be even more useful to those with low testosterone. Studies have even suggested this is true. In a 2017 study, for example, pine pollen extract successfully reduced hot flashes in subjects, which can attest to a certain level of phyto-androgens being present. DOES ANY TYPE OF PINE POLLEN POWDER WORK? An even more important question might be: does pine pollen from any pine tree work to balance hormones, and in the same way? The answer: no, not all pollen from any pine is the same—and not even all pollen from one single tree is like pollen from the very same tree. 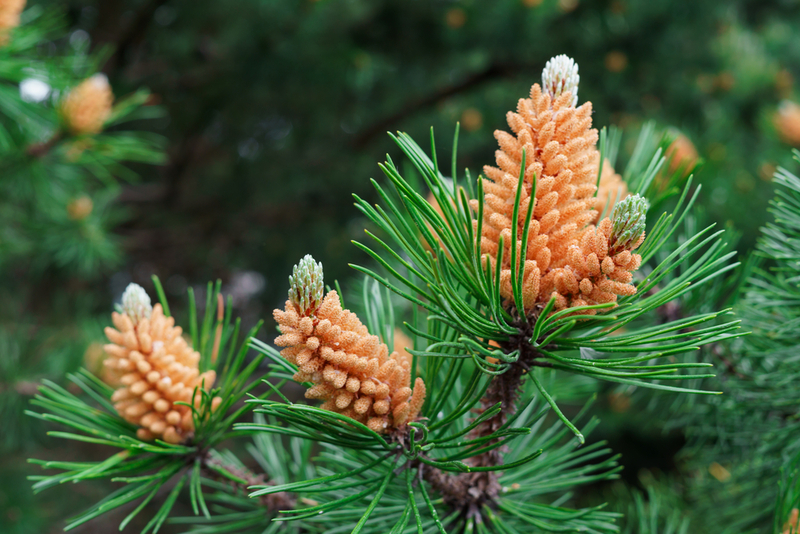 In fact, there is some debate surrounding different pine species and which ones are best for harvesting pine pollen—though it is suggested that most have pollen-containing androgens, according to this study. On the one hand, many extracts today contain pollen from the Scots pine, or Pinus sylvestris. Yet the original pine species from China, referenced in ancient texts for its powerful pollen, is Pinus massoniana, or the Masson pine, which is likely to have more effective pollen higher in phyto-androgen counts. Still, other pine varieties—such as Pinus patula, Pinus nigra, and Pinus tabuliformis—are also shown to be potent candidates. Not only that: the way that pine pollen is extracted from the proper pine species is essential to its effectiveness, too. Japanese scientists found that for pine pollen to be fully effective and its phyto-androgen properties experienced, the strong shells around each single pollen microbe must be cracked so the human body could digest and absorb it. This is done with high-velocity airflow, which pulverizes and cracks open pollen shells, making it more bioavailable. HOW DO I KNOW I MIGHT NEED HORMONE BALANCE? Delving into the science and possibilities of how pine pollen works, it certainly is an intriguing herbal remedy. It may be especially intriguing for those experiencing low testosterone. As we get older, dipping testosterone levels is a normal part of the transition—but that’s not to say that it has its aches and pains that come with it. 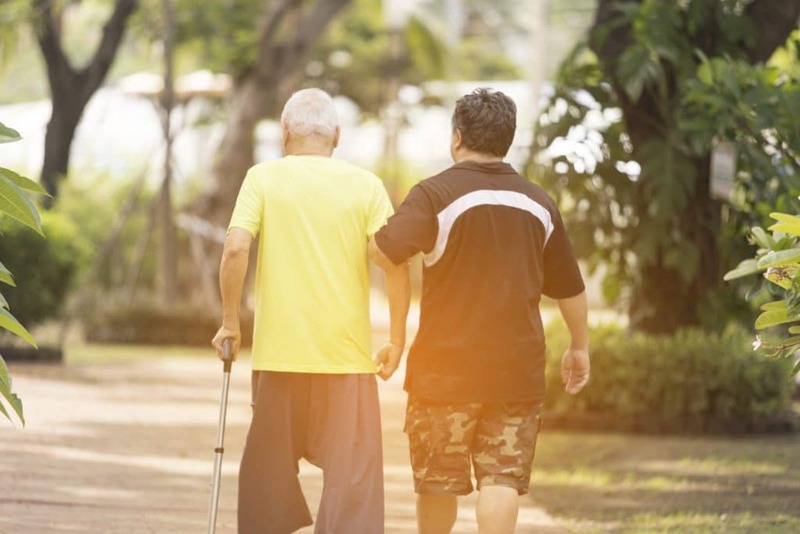 In some cases, low testosterone may be a sign of a more major health problem— though more than anything else, the hormone imbalance is more likely to have to do with age. If these are common struggles in one routine and low testosterone is suspected, it’s quite possible that phyto-androgen-rich pine pollen could provide a little extra hormone balance and support. Even if low testosterone isn’t suspected, are there benefits to the phyto-androgen compounds found within pine pollen? Benefits of some extra testosterone aren’t limited to being good for men—women can reap the benefits, too. 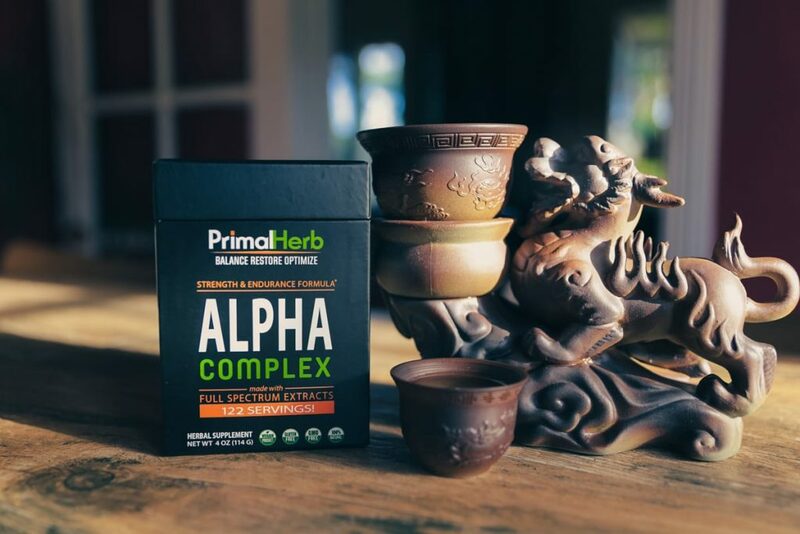 …in our top formula designed for male hormone balance, Alpha Complex. 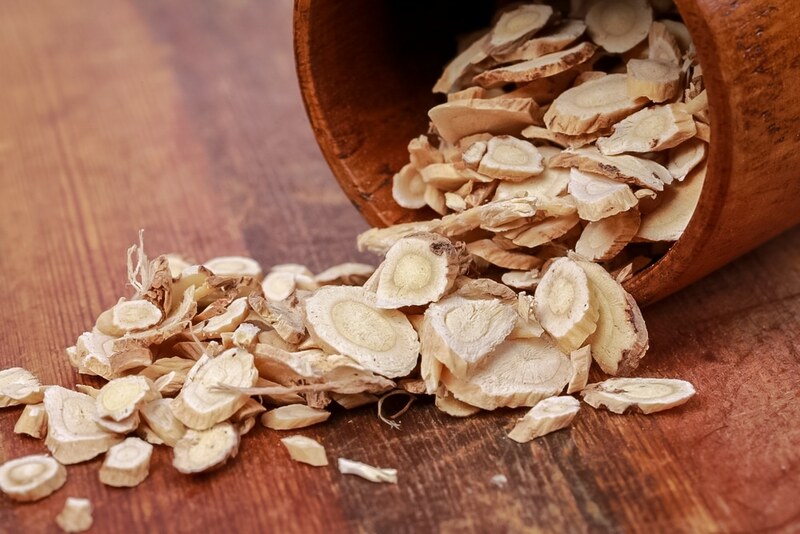 Long Jack Extract – Research shows it boosts fertility and can increase testosterone by helping the body release ample levels of DHT from SHBG.